Today LinkedIn has changed the permissions and availability of their API and divided the API into different groups: Sign-In, Sharing and Apply with LinkedIn. The access to the last group (Apply with LinkedIn) now requires a special permission from LinkedIn. Without the explicit permission from LinkedIn you can no longer retrieve data like for example a user’s job skills, certifications, patents and other information. Until April 20, 2015 it was possible to use Social Login with Google without having to setup a Google application in your OneAll account. This was made possible by using Google OpenID for sign in. Several months ago we already added the possibility to switch to the newer Google+ protocol simply by setting up Google in your OneAll account. This setup was optional but has now become a requirement as Google has shutdown OpenID. OpenID can no longer be used to login with Google accounts. OpenID 2.0 support was shut down in order to focus on the newer open standard OpenID Connect, which provides greater security for your account. Zapier makes it easy to connect your web services – like Evernote, MailChimp, Gmail and now also OneAll – together, saving time and improving productivity. By linking services together, you can automate tasks – such as adding users to a MailChimp subscriber list after they have logged in with Social Login. These triggers are called automatically without you having to remember to do them each time. It’s a really efficient way of using the social network profile data that Social Login provides. 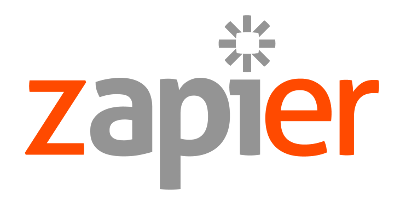 More information is available in our Zapier Integration Guide. Three years ago today, OneAll came out of it’s beta and was rolled out to people worldwide. In the past years we’ve learned a lot, heard great feedback from customers and we work hard every day to make sure that we continue to earn your trust. 2014 has been a great year and we have surpassed the 250,000 mark for websites using our services! We’re so grateful you’re all a part of it! Thank you! And though 2015 marks our fourth year as a company, our mission to deliver the best social network integration service hasn’t changed at all. To accomplish that mission we are always looking for PHP and Web Developers. If you are looking for a new challenge this year and enjoy working in a fast paced environment then please get in touch. So whether you join us this year, or have been with us from the beginning, thank you! It’s going to be a magical year. WPEngine is a fully-managed WordPress hosting platform with strong security measures to ensure that your blog is protected from exploits and running at peak performance. Understanding the WP Engine security measures has been a great challenge and we are happy to announce that our Social Login plugin for WordPress is now fully compatible with WPEngine. A big thank you to the numerous customers that have provided us with suggestions and feedback about this plugin! 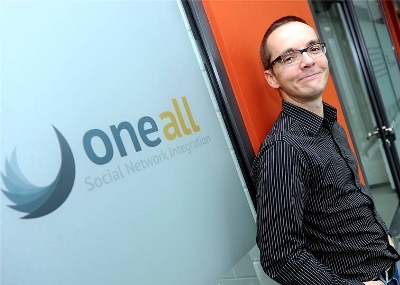 oneall is a technology company offering a set of web-delivered tools and services for establishing and optimizing a website’s connection with many social providers such as Facebook, Twitter, Yahoo! and LinkedIn. Copyright © 2011-2014 oneall.com - All Rights Reserved.